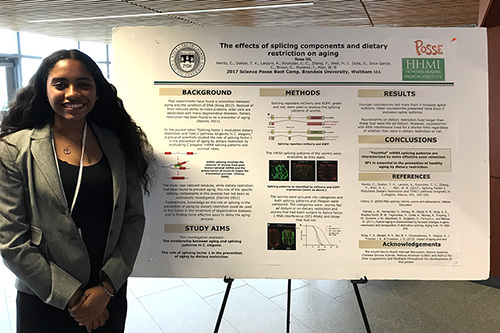 This is the second in a series of posts highlighting food science discoveries at Brandeis. These functional innovations help lower cholesterol, find novel uses for antioxidants and healthy fats and develop process improvements. Carrot pomace powder (CPP) is currently a dried “waste” material generated during the production of carrot juice, but Brandeis inventors Daniel Perlman and K.C. Hayes have discovered that CPP may represent a dietary breakthrough. 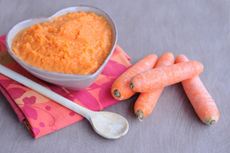 When carrot pomace powder is isolated using the proprietary process developed by Perlman and Hayes, it becomes highly enriched in both soluble and insoluble fibers while maintaining a low sugar-to-fiber ratio. This means that carrot pomace powder is an excellent new fiber product that can be adapted for commercial food production. Food manufacturers can use it to reduce blood glucose, cholesterol and triglyceride levels, while having a major positive impact on the gut bacterial flora. 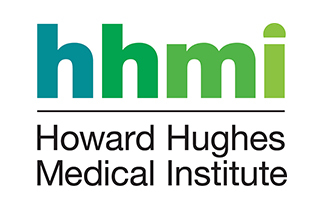 This patent pending process is significant given that the market for dietary fibers in foods and beverages is expected to reach $6.5 billion by 2022. Read more about carrot fiber, the Brandeis Office of Technology and Licensing and the research behind this discovery. Congratulations to Amy Lee, Assistant Professor of Biology, as she has been named one of the 2018 Pew Scholars in the Biomedical Sciences by the Pew Charitable Trusts. 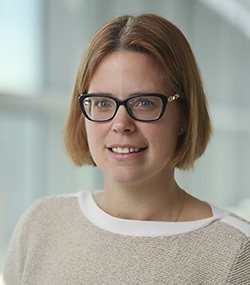 Amy, along with another 21 recently appointed assistant professors, will receive a $300,000 grant over four years to further their research into biomedical science. 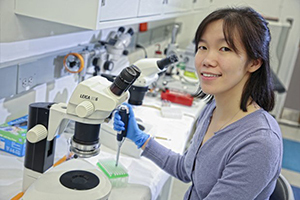 The Lee Lab studies how mRNA translation regulation contributes to cell diversity. Lee joined Brandeis during the summer of 2016. Shortly after arriving on-campus, she was named a 2017 Searle Scholar. At that time, she received $300,000 in flexible funding spread over three years.